Who among you got sick of hepatitis? When I was in 2nd year high school student I got sick of Hepatitis A means I ate a dirty food but I was cure after 2 weeks of confinement in a hospital. While Hepatitis C is a disease that affects the liver and is caused by the hep C virus. Hep C is usually spread when blood from a person infected with the hep C virus enters the body of someone who is not infected. Hep C generally progresses slowly, over the course of 10 to 40 years. It attacks and damages the liver, killing liver cells in the process. As a result, scar tissue forms, a process called fibrosis. For about 10 to 20 percent of people infected, Hep C can eventually lead to scarring of the liver (also called cirrhosis). Although some people will experience symptoms, about 80 percent of people with acute Hep C do not have any symptoms. 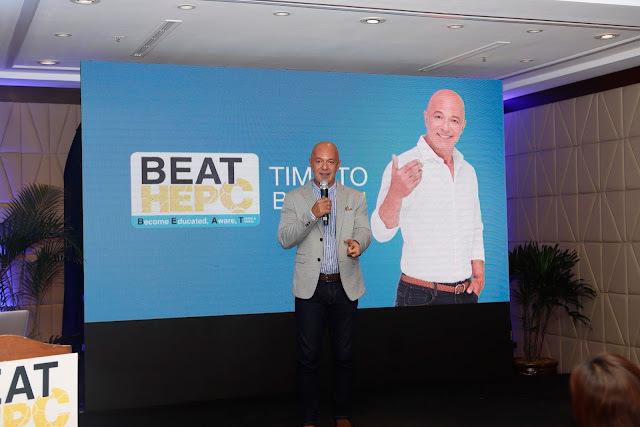 Last November 8, 2018, I was able to attend the launched an awareness campaign for Hepatitis C with Michael De Mesa held by world’s leading global pharmaceutical company, Mylan, and in association with the Hepatology Society of Philippines (HSP). 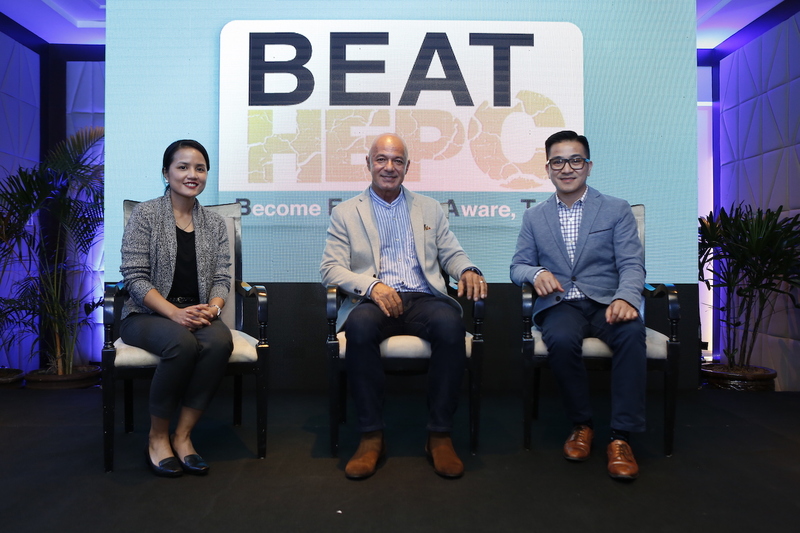 The BEAT Hep C (Become educated, aware, tested and treated) campaign aims at spreading awareness about the disease. It will include dissemination of information through pamphlets and promoting screening among Filipinos at risk. During the launch, Michael De Mesa told the guest how he got hepatitis C. It was began in 1999 when he was supposed to donate blood and his blood was screened so they found out he had a hepatitis C virus. The actor suspect that he got the virus when having his ears pierced in 1997 in a mall somewhere in Texas. He experienced a lot of difficulties and there was a time his work as an actor is also affected. Until in 2010, when Michael and his wife Julie decided to migrate to the US. His wife found out about Harvoni, the new drug known to cure Hepatitis C but it’s very expensive, $1,000/pill that time. However, Michael’s wife never gave up to research for new drug upon their move back to the Philippines. True enough, his wife found this gentlemen online who got cured of Hapatitis C virus and they get in touch with him. The name of the drug which the gentlemen cured is generic version of Harvoni. They ordered online and Michael started the treatment November last year. 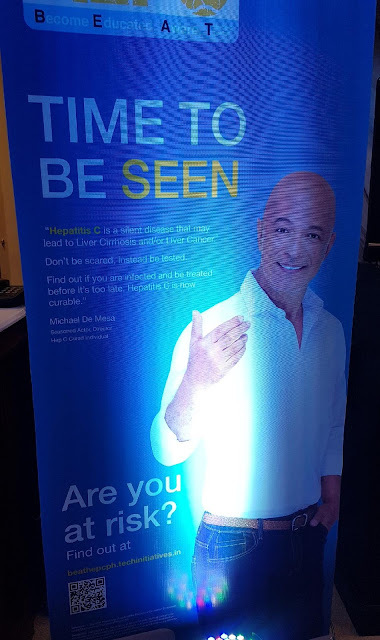 After consuming two bottles, Michael’s viral count was declared “undetected.” It was Christmas 2017 when Michael cured of Hepatitis C. Now that the actor is 58 years old, his out on a mission to educate Filipinos, to raise awareness…..he does’nt like anyone to get through what he went through for 18 years. 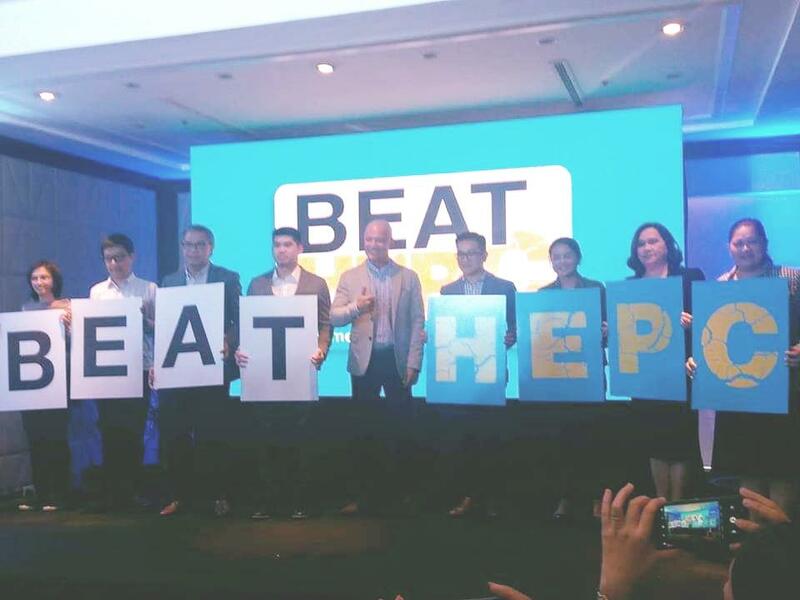 “Let’s all beat Hep C together!”, said Michael.